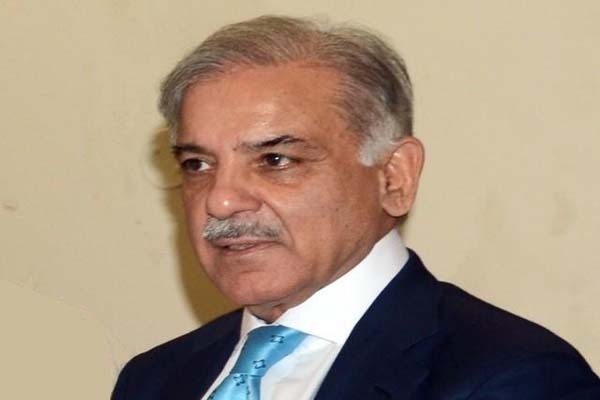 LAHORE, Jul 12 (APP):Pakistan Muslim League-Nawaz (PML-N) President Shehbaz Sharif on Thursday said that Nawaz Sharif would be received at Lahore Airport on his arrival from London on Friday. Addressing a news conference at the PML-N Model Town Secretariat he said he would lead a rally from the Muslim Masjid, Lohari, to the Lahore airport to receive Nawaz Sharif. He condemned the alleged arrest of the party leaders and workers. PML-N’s leaders including Marriyum Aurengzeb, Ayyaz Sadiq, Khawaja Saad Rafiq, Sayed Mushahid Hussain, Pervaiz Malik, Hamza Shehbaz were present on the occasion. Shehbaz said he already had announced that the rally would remain completely peaceful and party workers would not damage any property. “We are peaceful people and believe in supremacy of democracy,” Shehbaz added. He claimed that the PML-N was being targeted and added the party leaders and workers were not afraid of jails and would receive Nawaz Sharif and his daughter Maryam Nawaz on Friday (July 13). Shehbaz Sharif claimed the PML-N had served the masses, and added it ended load-shedding, built China Pakistan Economic Corridor (CPEC), restored peace in Karachi and set up mega public welfare projects. Answering a question, Shehbaz said they would go to elections despite any high-handedness by the district administration. “Free and fair elections are need of the hour and all parties must be allowed to campaign freely,” he suggested. He claimed that the PML-N was the majority party and in position to win the general election 2018 on July 25.